The Cape Wrath Trail is the expedition of a lifetime, traversing 200 miles of Scotland's wildest and most beautiful country. Compare and read about the various routes. Find out where to stay when on the trail. 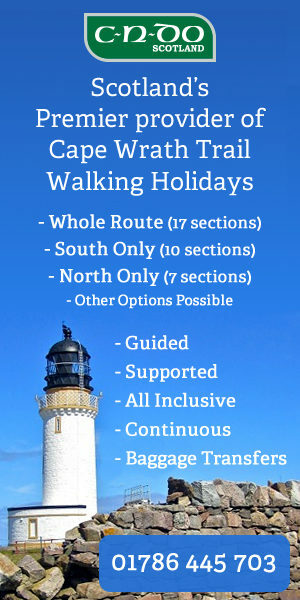 This website has been developed as a resource for people planning an expedition on the Cape Wrath Trail in Scotland. It supports a new guidebook to the route which will be published by Cicerone.